This was the absolute epitome of a low-key weekend. With good cause, I suppose. Last week was pretty busy with anniversary ongoings , so a change of pace was welcomed. I knew that I had only two tasks this weekend: 1.) complete commissioned stitching, and 2.) find a dress for my brother-in-law’s wedding! My BIL is getting married this Friday and (despite several tries) I had yet to purchase a dress for the big event. Gasp; the pressure was on! So, after teaching my aerobics class on Saturday, I made the weekly trek to Michael’s for some needed embroidery floss before heading home and gettin’ stitchy. I truly thought that I would find a pot of gold at the end of this rainbow, but no such luck! 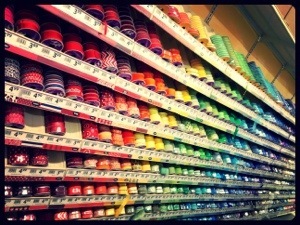 However, the floss colors that I needed were actually in stock; so I suppose that was treasure enough. The next several hours were spent with me sitting on my caboose with a sketchpad, pens, needle and thread… and my iPad (that thing is never far from reach!). 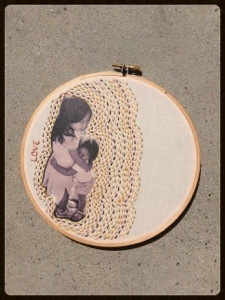 The outcome of this session was the completion of my first Mothers’ Day Collection piece (is that not the cutest?) 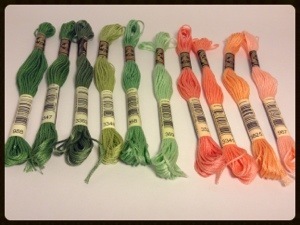 and another hoop which I am not yet at liberty to reveal… but these were the colors used. I am using all of the willpower in my body to continue on with the planned Weekend Wrap Up and not to turn this post into a Stuck platform! Everything else that I am going to write about seems so disgustingly trivial in light of the information that I learned through Stuck, but proceed, I must. Sunday was fabulously lazy. The day began with worship and an excellent sermon by guest preacher Dr. Dennis Johnson. 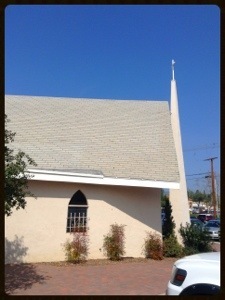 I love my church, it isn’t the fanciest place in the world (clearly) but it is one of my favorite places. After church, I had a scheduled lunch and shopping date with sister Dee. Oh, and just in case that you haven’t yet met her yet, this is my only niece (dog niece), Ellie! 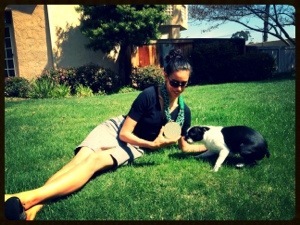 She is an almost 4 year old Boston Terrier and she is an absolutely excellent pooch. 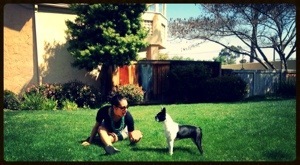 I decided that we should play on our little grassy knoll to get some green shots for St. Paddy’s Day. You can’t tell by the photos, but I am holding a little green hoop featuring tiny little puppies, but this genius misplaced the hoop before photographing it up close. Sometimes I truly am brilliant! 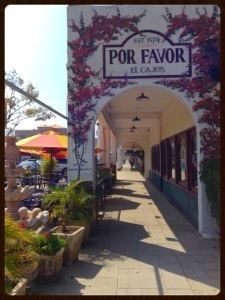 Dee and I headed to a little outdoors, Mexican lunch. 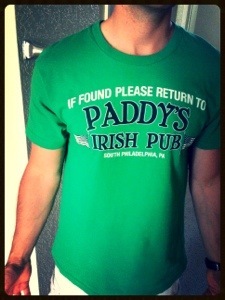 You know, in honor of St. Patrick’s Day and all. Then it was time for the dreaded shopping! Arg, I hate dress shopping under pressure and my sewing skills are not advanced enough to whip something up for myself. I have to take Dee shopping with me when an important event arises, because she has better fashion sense than I do and she’ll usually push me out of my cardigan, cotton dress, leggings bubble that I’m usually trapped in. After a few shops, I was quite sure that I would be attending the wedding naked. 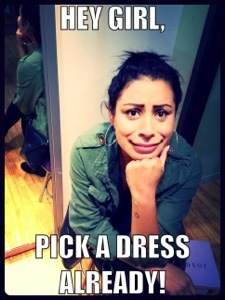 I tried on way too many dresses and I could tell that Dee was getting restless. And just then, the heavens parted, bird started singing, bells started ringing and a giant glow lead me to this dress. (Insert the sound of heavenly hosts singing Amen in unison). Dee turned to me and literally said: are you saying ‘yes’ to this dress? How could I argue against it! It was quite a bit more than I wanted to spend, but I do love it! And it’s a great dress for twirling around because it has a small layer of tulle near the bottom. Yes, a party dress has to have a good twirling rating in order for me to purchase it. 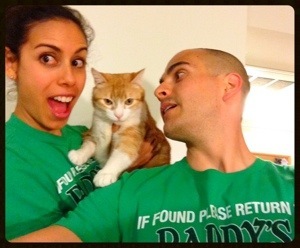 Post shopping, Husband and I spent the rest of the day lounging around in our Paddy’s Pub shirt. Yes, I am shockingly enough a fan of It’s Always Sunny in Philadelphia. It is crass and some of it does go a little far for my liking but the show is hilarious! 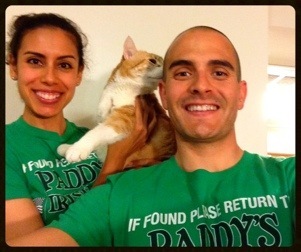 And I picked these shirts up at Target after St. Patrick’s Day last year for only $2.90 each! And we had to bring Jack into the shots because he’s orange and white, so he complete our Irish look perfectly. Note: he does not like the camera. Not one bit. And that’s it folks, I’m now well rested and fully prepared to tackle the upcoming week. Wedding in four days! That’s really a cute dress mija!! Thanks ladies, I adore the dress but the end of the bodice sits about three fourths of the way down my rib cage so it is a tad hard to breath. Other than that, it’s wonderful. And yes, she is a gorgeous Boston! Very well behaved, but Lord does she have loads of energy! She can NEVER get enough of the tennis ball!